The BOB weft less felt has the good capability of filtration,drainage. High tensile strength and drying section (MG felt) of ecumenical paper machine to make lower/medium quality paper. good third dimension on the surface,have good filtration/drainage and long life. or warp and weft weave by doubleing monofilament. 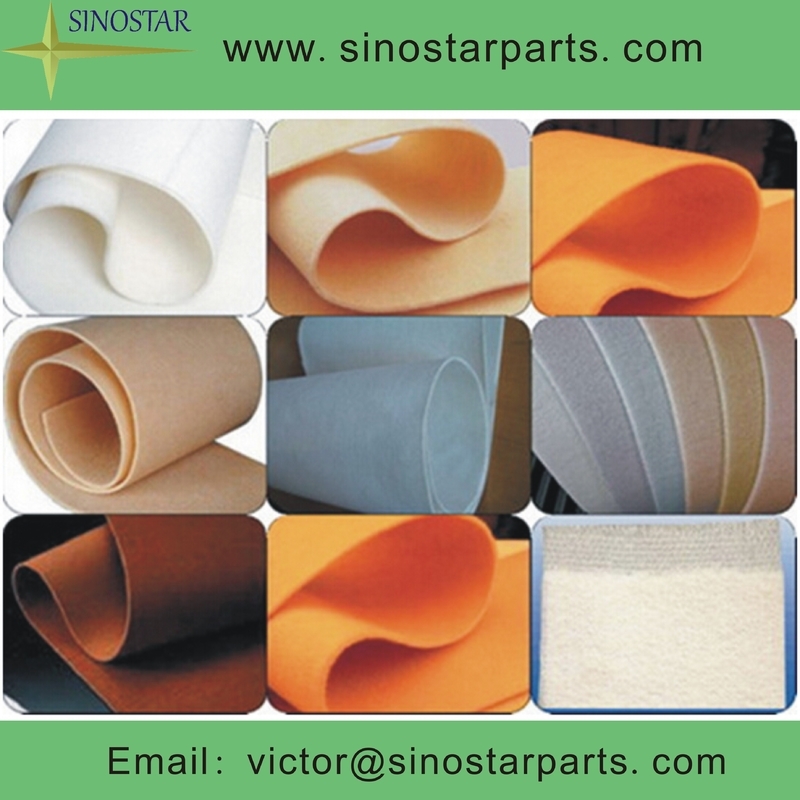 1.Paper making dryer felt is made up of single base layer fabric and fiber layer. Base layer is woven from synthetic filament or multi-filament. 2.The structure of paper making dryer felt is designed base on different paper machine, different press position and different type of paper. Fiber layer is consisted of different lap of fiber web and different diameter of fiber for the best trainability and fiber support index. 3.Paper making dryer felt has good quality properties such as less elongation, easy to wash, no-mark on paper, long life performance etc. and can be used in all different kinds of paper making machine to produce all different kinds of paper. We are professional factory,produce all kinds of paper making clothing,including polyester forming fabrics,spiral dryer fabrics,sludge dewatering belt,press felts,pulp washing fabrics,stainless steel wire mesh,etc. 1.Samples: free samples with detail specification for you to choose. 2.We will make the exact specifications as customer's requirements. 3.We have engineers waiting to help you solve the problems when using our mesh fabrics and belts.